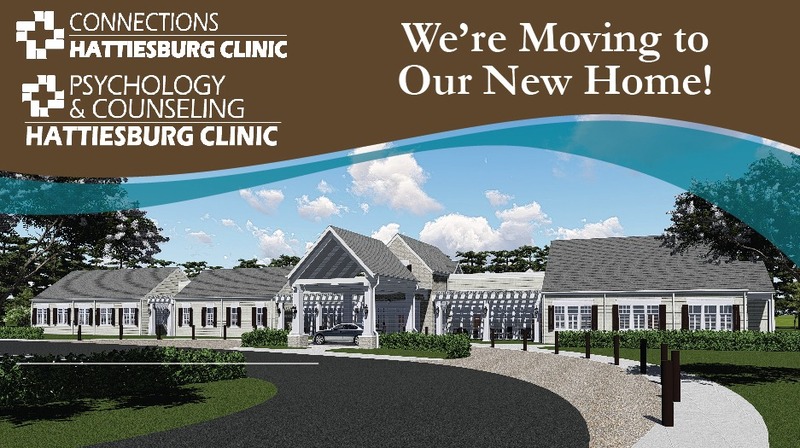 Two Hattiesburg Clinic departments, Connections and Psychology & Counseling, are relocating Monday, April 8, 2019, to their new facility near Tatum Park in Hattiesburg. The two clinics will share the facility, located at 102 Medical Park in Hattiesburg, just off Veterans Memorial Highway, Highway 11. They are relocating from their current location at 2 Southern Point Parkway, Ste. 200. The new building is 20,190 square feet with separate wings for each practice. It will feature a spacious lobby, 12 exam rooms with space to add more, and ample parking. Additionally, it will include 16 provider offices, several of which will also serve as private counseling areas. The Connections and Psychology & Counseling building is part of a larger medical park project by Hattiesburg Clinic in the area near Tatum Park. This will mark the third Hattiesburg Clinic facility to be completed at the site in the past five years. Connections serves as a regional resource and treatment center providing medical, educational, speech/language and dyslexia evaluation services for children and teenagers. Their providers offer medical evaluation and management of ADHD and related concerns. They also work collaboratively with Psychology & Counseling to treat behavioral and emotional issues. Connections can be reached at (601) 261-5159. Psychology & Counseling offers a broad range of outpatient services, including research-based counseling and comprehensive psychological assessments. Their team of licensed and credentialed professionals offer counseling for individuals, couples and families struggling with a range of mental and emotional issues, such as anxiety, depression and obsessive-compulsive disorder. Psychology & Counseling can be reached at (601) 261-1650.